Is Yusei Kikuchi the lefty the Phillies have been waiting for? More than anything, the Phillies need better pitchers. For four days at a high school in Northern Japan, Yusei Kikuchi held meetings and fielded questions from 12 Japanese baseball clubs and eight from MLB, including the Mariners, Yankees, and Rangers. This is what happens when you can throw a baseball 96 m.p.h. People want to talk. The Seibu Lions jumped at the chance to sign him. Wearing their uniform, Kikuchi made his slider famous and burned through his NPB opponents. Here’s two and a half minutes of him pitching set to some gnarly guitar music. 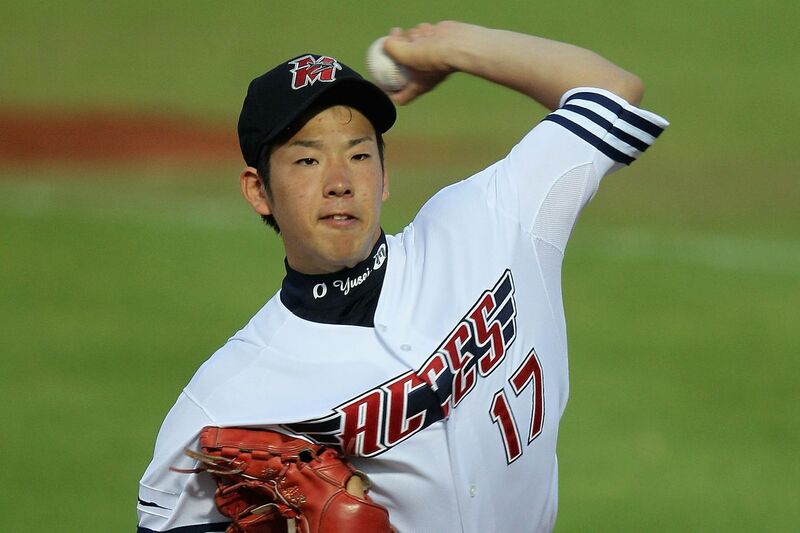 Despite his decision at 18, Kikuchi’s joining MLB remained a part of the plan. He and the Lions struck a deal, agreeing that if he put up a double-digit win total in 2017 and 2018, they’d post him as eligible to be courted by MLB teams, rather than forcing him to wait until 2020 to enter the international draft. His shoulder soreness lifted and his delivery re-jiggered, Kikuchi roared through the 2017 season with a 1.97 ERA, 4.43 SO/W, 10.4 SO9, and a 0.911 WHIP in 26 starts, making hamburger meat out the 735 batters he faced, the highest number of his career. The left-hander completed a 2018 season with a 2.77 ERA and 153 SO in 163.2 IP. He got Seibu their double-digit win totals satisfying their fixation on that particular stat. Now 27, he’s a few days inside the negotiating window, he’s got the skill, and now, he’s even got Scott Boras. Kikuchi is ready to get paid playing baseball in America. Early projections put a reasonable deal at six years, $42 million. And Boras isn’t out here disparaging the Phillies as a destination, so that’s nice. The Phillies will, naturally, pursue him. They don’t seem to want to do so with a higher intensity than other lefties on the market like Robbie Ray or James Paxton at the moment, but they’ve seen Kikuchi pitch, they know his story, and there’s a perfectly reasonable chance that he’s someone they choose to throw some of John Middleton’s money at. The Phillies, Matt Klentak says, aren’t going to add a lefty to the rotation just because he’s a lefty. It sure is! Not only coming out of the pen, but starting the game and giving you six or seven innings, as well. The Phillies had three starts this season by a left-hander, and they were all Ranger Suarez. So no, you can’t just drop the first ten-percenter who comes along on the mound, but when facing Freddie Freeman*, Juan Soto and whatever other threatening left-handed hitters the NL East will contain in the years to come, it helps to have the option. Beyond that, in the broadest sense, let’s address what we already know: The Phillies just need better pitchers. You can claim that facing a fearsome left-handed hitter like Freddie Freeman 19 times a year is reason enough to have a lefty to counter him, but you know what? Freeman hit .309 against righties and lefties this year. In fact, his OPS was better against lefties. Fortunately, Kikuchi isn’t just another lefty; he’s an elite player in his league who has gotten the interest of multiple MLB teams. The fact that he’s a lefty does give his particular contributions an added bonus—certainly there are a litany of worse left-handed hitters than Freeman around here—but there are some general improvements to be made to the Phillies rotation, and it doesn’t matter what arm they throw with, as long as they throw this slider.